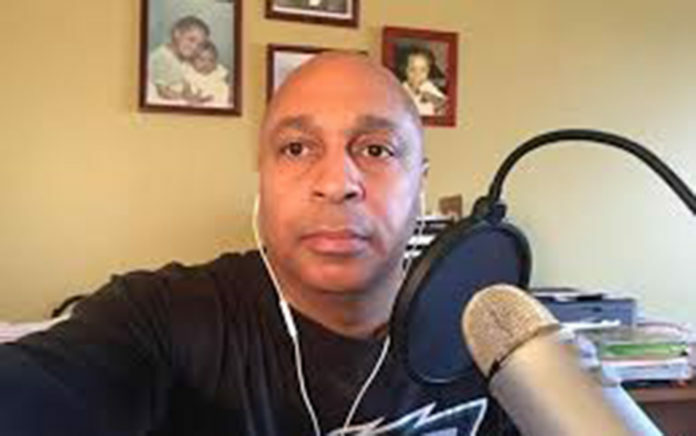 Jay Jones, founder of the ?Black Entrepreneur Blueprint,? says the biggest concern for black entrepreneurs is simply staying in business. The ?Black Entrepreneur Blueprint? (BEB) podcast aims to help entrepreneurs launch, build, and grow successful, sustainable businesses. And the man behind the podcast is Jay Jones, a serial entrepreneur, author, coach and speaker. ?My first podcast was Tuesday, August 5, 2014. I drop a new episode every Monday morning at 5 AM EST. As of now, I am on episode number 196. (I have never missed a week since the inception of the show),? says Jones. Jones became an entrepreneur after working five years in corporate America as a stockbroker for Merrill Lynch and a stint as an advertising executive. ?After I left corporate America, I was living my truth as a serial entrepreneur. I?ve owned over 17 businesses and built two multimillion-dollar businesses including a mortgage business and currently with my portfolio of e-commerce businesses where I?ve created several product brands and sell them online. I?ve also owned an alarm company, and event marketing company, a small digital advertising agency, a magazine, and several other businesses. So, on my podcast, I speak from experience, not theory,? notes Jones. Jones will also be release a new book, ?A New Black Wall Street–Circulating The Black Dollar By Building Successful E-commerce Businesses–12 Steps to 6 Figures in 12 Months (part-time),? May 1, 2018. ?Also, on that day, Jones plans to launch a Black ecommerce platform BeSmartBuyBlack .com as a platform where Black business owners can sell their products. ?I am a serial entrepreneur, and all throughout my life, people have asked me ?how do I start a business? or ?how do I do this or that?. Since I enjoyed talking about entrepreneurship I decided put my expertise and ?know-how? out there by sharing my experiences as an entrepreneur; both good and bad,? Jones shares. Jones uses his podcast to not only share his own entrepreneurial experiences to as an opportunity to get insight from other Black business owners who he interviews. ?I saw a hole in the market that needed to be filled by someone who was a successful Black entrepreneur that had real-life experiences and ?know-how? that could be shared; both the successes and the failures,? Jones explained. ?I wanted to create a platform for people that looked like me and could identify with some of the intrinsic struggles that Black entrepreneurs face. I also wanted to create a no-BS platform where I added value and gave actionable steps to move people from point A to point B. I didn?t want this to be a motivational platform like some of the guru?s out there. I feel that if I need to motivate you to ?do for self?, then you don?t really want to be an entrepreneur.? According to Jones, he has found that the biggest concern Black entrepreneurs is longevity as well as lack of funding. ?I think the biggest concern Black entrepreneurs have is just staying in business. Unfortunately, there is a high failure rate for entrepreneurs in general, but when you add in other issues that sometimes affect us more than other ethnicities such as lack of capital, lack of credit, and lack of opportunities; that tends to cripple us more,? Jones says. What is the biggest mistake Black entrepreneurs tend to make? ?In my estimation, I think biggest mistake current Black entrepreneurs make is that they don?t think big enough. I understand that you have to start small and grow, but with today?s technology and having a worldwide economy, there is no reason why we can?t take our businesses global. I think this is more of a mindset issue than anything else,? Jones reveals. He adds, ?The biggest mistake the prospective Black entrepreneur makes is that they don?t move forward with their entrepreneurial dreams and never take action. There are so many great Black businesses that will never be launched because that person never took action.? What is next for the show? ?I have several new progressions planned for the show. The first is, that I am going to start to do more live call-in shows. I just did my first one a few weeks ago and it was great. The BEB Family showed me so much love and I enjoy the opportunity to interact with them. Secondly, I am going to start doing in-studio video interviews. The third iteration is doing live on-location video and audio shows. And I am also in the process of working on a series of live workshops called the Black Entrepreneur Bootcamp that will include workshops and seminars for Black entrepreneurs that we look to take to several major cities beginning in 2019.? For Jones, he wouldn?t be anything other than an entrepreneurial. He says, ?I love the ability to control my own destiny and build a business or businesses around my lifestyle. I love the ability to blaze my own trail and work on businesses and projects that have meaning to me. I love the flexibility my business allows me, so I can spend time with my family and enjoy watching my children grow up and be an active participant in their lives. I love the business of doing business. ?